Hoping to ride the wake created by Snapchat’s moment-driven content boom, Facebook released their version of disappearing media as a new Instagram feature. It’s called Instagram Stories (sound familiar? ), and it integrates vertical content into the existing platform very much like Snapchat. But before you go saying that Instagram just took Snapchat and put it on their platform, let’s explore Instagram Stories, and get the full picture. Open Instagram, go to the “Home” tab and you will see your friends’ stories displayed at the top of the page. Swipe left and right, and you can cycle through the full list of content posted by your friends. Click one and it will open and play. At the top of each story you can see how many posts make up the overall story, and stories automatically advance to the next person when they are finished. Each post disappears after 24 hours and you can only see the number of views on your own story. You can add photos and videos for up to ten seconds. You can add text and draw on your posts. Swipe to add color filters. Wait…are we still talking about Instagram Stories? After using it for a couple of days, I will admit that Instagram has done a great job at creating a real competitor for Snapchat. Instagram’s interface is a little easier to understand and use, which may help with user adoption, especially in older demographics. Because stories appear at the top of your home page, it is easy to follow your friends’ stories, which is why I got over 500 views on my first Instagram Story. I am impressed with the initial user adoption, and I personally have spent at least 300 percent more time on Instagram since the update, but it will be tough for Instagram to win over Snapchat fans. Snapchat has gained huge brand loyalty. Partly because of Snapchat’s response to the desire for fun and exciting features (face swap anyone?). Users have gone through alot with Snapchat, they remember a time before geofilters and face lenses. Snapchat has a different personality than Instagram, it’s younger and more fun. Will Instagram Stories draw some of the young Snapchatters to their platform, or will it legitimize Snapchat driving an older demographic to the millennial juggernaut? 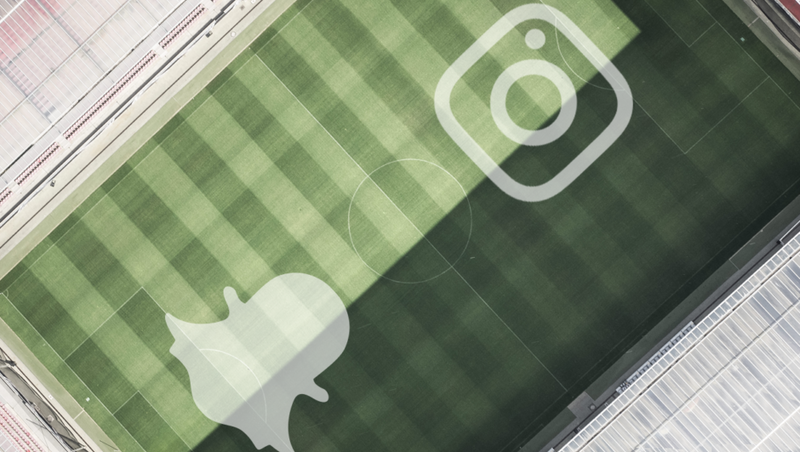 So far we haven’t seen any ads play between Instagram Stories, but there is still a big opportunity with influencer marketing. And, it appears as though Instagram Stories is set up for easier conversions, as you can access Stories directly from your homepage, as they appear. Instagram already has a huge user base that seems to be taking to the new Stories feature. With all of this new attention comes value to brands and marketers in the form product placement, shoutouts, and reviews. Instagram Stories: Relevant Enough to Take Users from Snapchat? Instagram Stories are a totally different type of media than normal Instagram posts. The moment driven format that was pioneered by Snapchat is now accessible to all Instagram users. Because the content is never older than 24 hours it feels more authentic and real. The story telling style of disappearing micro content has a behind the scenes feel compared to the normal Instagram feed. Facebook is making a big move to get involved with the disappearing media phenomenon and it is working! I have already noticed some Snapchatters adopting Instagram Stories, for example the innovative Snapchat show called Snapshow.tv is now also posting their content on Instagram Stories in hopes of reaching a broader audience. Ultimately the most important metric is going to be attention, I think Instagram Stories will take some attention from Snapchat but will it be enough to affect Snapchat’s bottom line? Comment below and let me know what you think will happen to Snapchat.